Weight Loss, Wealth Loss, Or Health Loss? P.T. Barnum once said “There’s a sucker born every minute”. Those words were never truer than in the weight loss industry and weight loss scams. You’ve seen the ads: “Lose 4 pounds/week of belly fat”; “Lose 40 pounds in two weeks”; “burns off fat effortlessly”; “The pounds just melt away”. It’s hard to believe that people actually fall for those ads. Yet they do. The problem is that weight loss is hard. 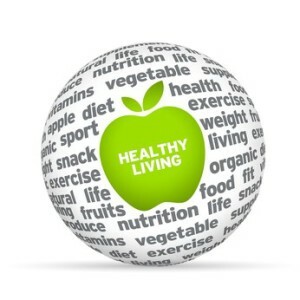 You have to change your lifestyle – eat healthier, exercise more, give up some of your favorite foods. Even worse you can’t just make those changes for a few weeks or a few months. Those lifestyle changes need to be permanent if you wish to achieve lasting weight loss. That just doesn’t fit with the American psyche. After all, our doctors and the TV ads promise us a “pill for every ill”. If you think that way, it is only logical that there should be a pill for weight loss. Unfortunately, the unscrupulous supplement manufacturers are only too happy to fill that expectation. They don’t care whether their products actually work or whether they may actually kill you. They just want to make a quick buck. Here are the 3 weight loss scams making headlines today. The first 2 weight loss scams fall into the category of ones that lighten your wallet. In a recent press release the FTC recently charged two Florida-based supplement manufacturers of concocting elaborate, but completely fraudulent, marketing schemes to sell their weight loss products– one containing forskolin and another containing white kidney bean extract. The schemes started with the marketers hacking people’s email accounts and sending messages touting the fake products to all of their contacts. The messages were worded in such a way that the email appeared to be a recommendation of the product coming from a trusted friend or family member. The emails were linked to fake “news websites” that were designed to look like they were put up by an independent consumer reporter who had reviewed and endorsed the product rather than by the product manufacturers. These web sites featured glowing testimonials from consumers who had supposedly lost significant weight using those products. Of course, the fake “news websites” contained links that took consumers to websites where they could purchase the products. In the complaint they filed in court, the FTC said “these weight loss claims are false and lack scientific support”. In plain English, the FTC was saying that the testimonials were made up and there was no scientific evidence that the products actually worked. The fake “news websites” also said that the products were endorsed by Oprah and a television show called “The Doctors.” The FTC said that both of those claims were also false. And, if all of this weren’t enough, the defendants in these two cases then approached people who had legitimate health and weight loss blogs with large followings and offered them affiliate status if they would feature links to the fake “news websites” the defendants had constructed. In plain English, affiliate status means that the owners of the blogs receive a commission whenever someone started from their blog and clicked all the way through to one of the defendant’s sites and bought a product*. The FTC is seeking an immediate injunction that would shut down these fraudulent marketing schemes and prevent the companies from selling fake products that don’t work. I hope the FTC is successful at obtaining the injunction against both companies, and I hope it happens quickly. Unscrupulous manufacturers like this need to be put out of business. Please, be careful to avoid these kind of weight loss scams. *Just so you know, I have also been approached by companies offering “Health Tips From the Professor” affiliate status for marketing their products. I have chosen not to do that. I don’t want to become like so many other popular health blogs that seem to be more about marketing than about health. 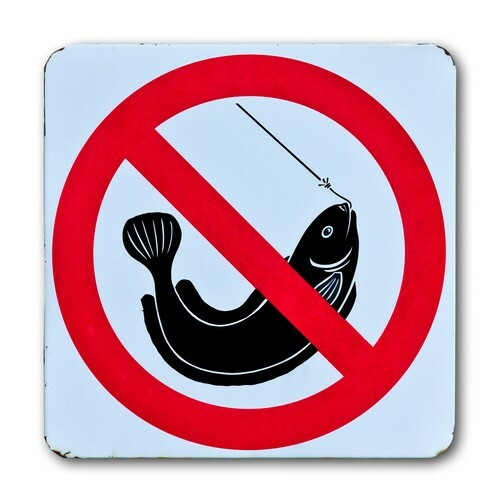 I will not feature any product I don’t believe in on my site. Integrity is more important than money. The third of the weight loss scams is of the more dangerous kind – one that might even kill you. The FDA recently sent a warning letter to a marketing company called The Ultimate Weight Loss Company claiming that 3 of their weight loss products that were labeled as containing bee pollen actually contained two undeclared drugs that the FDA has banned for consumer use. The first undeclared drug in their products is a compound called phenolphthalein, which was widely used in laxative drugs. It was also widely used in weight loss products because its laxative effect also causes water loss from the body – giving the appearance of rapid weight loss. However, research in the 90s suggested that it also increased the risk of several cancers. 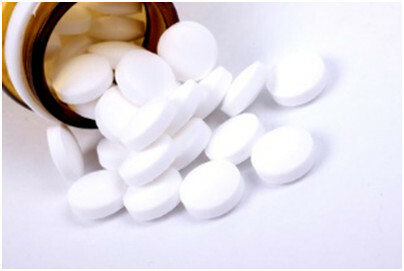 Laxative and weight loss drugs containing phenolphthalein were subsequently withdrawn from the market and the FDA currently classifies phenolphthalein as an unapproved drug. The second undeclared drug in their products is a compound called sibutramine. Sibutramine suppresses appetite and increases metabolic rate. It was the active ingredient in a weight loss drug called Meridia, which was initially approved by the FDA in 1997. The problem is that, like many drugs that increase metabolic rate, sibutramine also increases heart rate. While that is relatively benign for some people, it can cause arrhythmia, heart attack and stroke in anyone with a weakened cardiovascular system. A large clinical study published in 2010 (James et al, New England Journal of Medicine, 363: 905-917, 2010) showed that Meridia significantly increased the risk of heart attack and stroke in subjects with preexisting heart disease. Shortly after that the FDA declared that it caused an unacceptably high risk of heart attack and stroke, and it was withdrawn from the market. The FDA currently classifies subutramine as an unapproved drug as well. 47% of Americans are at risk for heart disease, and many don’t know that they have a problem until they drop dead from their first heart attack. If you are overweight your probability of having heart disease increases by 50% if you are a middle-aged woman and by a whopping 72% if you are a middle aged man (Eckel, Circulation, 96: 3248-3250, 1997). 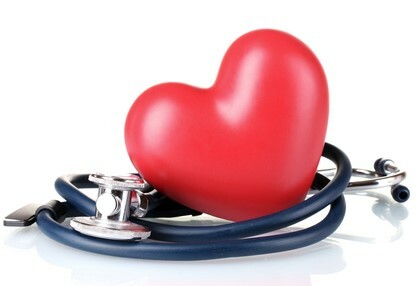 According to the NIH if you have diabetes, you are 2-4 times more likely to have heart disease. 65% of people with diabetes will die from a heart attack or stroke. Unfortunately, the combination of phenophthalein and sibutramine are still used in fraudulent weight loss products because they work. These two drugs together might actually give you 10 pounds or more of weight loss in the first couple of weeks. They might also kill you. They are certainly weight loss scams to avoid. The problem is not just that the weight loss products manufactured by this company contained unapproved drugs that are dangerous. The problem is that those compounds weren’t on the label. The label claimed the products contained bee pollen. The consumer had no way of knowing that the products might be dangerous. Even worse, as soon as the FDA shuts down this company, another one will pop up somewhere else. The combination of phenolphthalein and sibutramine is one of the weight loss scams that turn up time after time. How Can You Protect Yourself From Weight Loss Scams? You can’t trust testimonials. They are often fabricated. You can’t trust before and after pictures. They can be photoshopped and purchased over the internet. You can’t trust endorsements by celebrities or doctors. Endorsements can be bought and sold, and sometimes they are just fabricated. You can’t trust claims about “proven results.” They often aren’t backed by real science. You can’t even trust product labels. Some products contain dangerous ingredients that aren’t even on the label. You can’t even trust the FDA and FTC to protect you. They are doing their best, but two new scams pop up for every one they shut down. 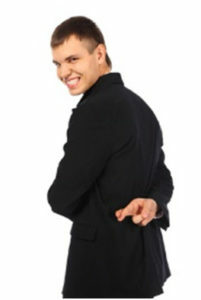 So what can you do to keep from being ripped off or endangering your health? Here are my top 4 recommendations for avoiding weight loss scams. Don’t be taken in by claims of rapid weight loss, effortless weight loss, or “magic” ingredients. The experts tell us weight loss should not exceed one or two pounds per week and should include lifelong lifestyle change. If the ads claim anything else, run in the other direction. There are no “magic” foods or “magic” combinations of protein, fat and carbohydrate. It also doesn’t matter whether the diet is Paleolithic age or space age. Weight loss simply requires calories in to be less than calories out. Look for clinical studies published in peer reviewed scientific journals showing that the weight loss program actually works. Choose companies that have established a reputation for quality and integrity over a period of decades, not just a few months or a year or two. Weight loss scams come and go. Good reputations take a long time to develop. Weight loss scams have been in the headlines recently. The FTC recently announced legal action two companies selling weight loss products containing forskolin or white kidney bean extract. According to the FTC the companies were using a “fraudulent marketing scheme” and the weight loss claims for their products were “false and lacked scientific support”. The FDA recently announced legal action against a company selling three weight loss products which they claimed contained bee pollen, but which actually contained two unapproved and dangerous drugs that can cause heart attack and stroke in susceptible people. You can’t trust claims about “proven results”. They often aren’t backed by real science. In the article above you will find my top 4 recommendations for avoiding weight loss scams. Some athletes, particularly Olympic athletes, are starting to use resveratrol to improve their workouts and their performance in events. Is their belief in the benefits of resveratrol justified, or is resveratrol just another of those “mythical” sports nutrition supplements? There have only been a few small studies on the subject, and those studies have been conflicting. The study I am featuring this week (Polley et al, Appl. Physiol. Nutr. Metab. 41: 26-32, 2016) asked a more fundamental question. It asked whether resveratrol enhanced the effect of exercise on muscle mitochondrial capacity. For those of you who aren’t scientists that statement may require some interpretation. 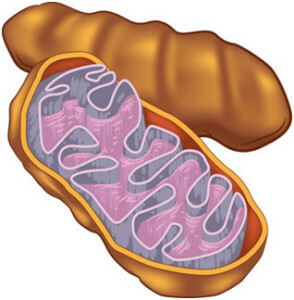 You can think of mitochondria as the power packs of the cell. They are tiny organelles that are found in most cells in our body. The foods that we eat contain a lot of energy (calories), but that energy is not in a form that our cells can use. Our cells metabolize those foods into small molecules that donate electrons to our mitochondria, and the mitochondria use those electrons to create energy in a form that our cells can utilize. As you might imagine, mitochondria are particularly important for cells with high energy requirements, like our muscle cells. Those muscle cells responsible for endurance and high intensity (think gymnastics or weight lifting) exercise have the highest density of mitochondria and are the most dependent on those mitochondria for optimal performance. Why Resveratrol Might Increase Muscle Mitochondrial Capacity? Mitochondria have a finite lifetime in our cells. As our cells age their mitochondria become less efficient and start doing bad things like releasing damaging free radicals into the cell. Exercise stress causes the mitochondria in our muscles to age more rapidly than the mitochondria in other cells. Fortunately, regular exercise also stimulates a pathway that causes production of new mitochondria and enhances their efficiency. Thus, the net effect of any exercise program is to increase both the number and efficiency of mitochondria, something referred to as mitochondrial capacity. It turns out that resveratrol and a small group of related polyphenols also stimulate the same pathway. Animal and cell culture studies show that resveratrol can increase muscle mitochondrial capacity. However, since resveratrol and exercise increase mitochondrial capacity by the same mechanism, the question is whether resveratrol has any added benefit over exercise alone. That is the question this study was designed to answer. The Benefits of Resveratrol on Muscle Mitochondrial Capacity? Previous studies had suggested that one of the benefits of resveratrol might be increasing muscle mitochondrial capacity for people who have engaged in relatively little physical activity in the past. For examples, studies have shown that resveratrol activates the pathway leading to increased mitochondrial capacity in obese and diabetic populations, both groups that may not have been involved in regular exercise. In contrast, other studies found no enhancement of those same pathways compared to exercise alone in more highly trained populations involved in high intensity training. Based on those results, the present study (Polley et al, Appl. Physiol. Nutr. Metab. 41: 26-32, 2016) was specifically designed to assess the effect of resveratrol supplementation along with low-intensity exercise in an untrained muscle group. The authors recruited healthy young adults with approximately equal numbers of men and women. To assure that the muscle group was relatively untrained, they asked the subjects to perform wrist flexor exercises in their non-dominant arm. They excluded from the study anyone whose exercise regimen involved regular use of the non-dominant forearm such as rowing, rock climbing or CrossFit. This was a double-blind, placebo-controlled study. Half of the group received 500 mg of resveratrol and the other half received the placebo. The placebo group served as a control for the effect of exercise alone. The dominant arm was not exercised, so it served as a control for the effect of resveratrol alone. The participants took resveratrol or placebo upon wakening each morning. The wrist flexor exercises were performed 3 times per week for 4 weeks. Mitochondrial capacity measurements were made using near infrared spectroscopy on a weekly basis. The results were pretty straight-forward. Low-intensity training alone (placebo group) for 4 weeks resulted in a 10% increase in mitochondrial capacity. Low-intensity training plus resveratrol for 4 weeks resulted in a 40% increase in mitochondrial capacity. This represented a highly significant difference between the resveratrol and placebo groups. Neither the resveratrol group or the placebo group exhibited changes in the untrained arm, which suggests that resveratrol without exercise has little or no effect on mitochondrial capacity in young, healthy subjects. What Are the Strengths and Weaknesses of This Study? Strengths:Because previous studies had suggested that the effects of resveratrol might be masked in highly trained individuals or by high intensity exercise, this study was specifically designed to look at the effects of resveratrol on mitochondrial capacity when administered along with low-intensity exercise in untrained muscles. In that sense this study breaks new ground and suggests that, under the right conditions, resveratrol can enhance exercise training. It was a very small study. That is not unusual in this area of research, but clearly much more research is needed. It used a higher dose of resveratrol than previous studies. However, plasma levels of resveratrol were not determined and the effect of lower doses was also not determined, so we have no idea how much resveratrol is actually needed to elicit this response. While increased mitochondrial capacity is a probable predictor of improved exercise efficiency, no performance outcomes were actually measured. Most people probably don’t care how well their mitochondria work. They care about how well their muscles perform. We are in the very early stages of research into the benefits of resveratrol on exercise. Many more studies are needed before we will be in a position to fully understand the effects of resveratrol on exercise efficiency and performance outcomes. This and previous studies suggest that resveratrol is likely to be most effective at enhancing exercise efficiency with low intensity exercise in relatively untrained muscles. If true, that would mean resveratrol might be helpful for the millions of Americans who are “weekend warriors” or exercise sporadically. It may even be beneficial for those of us who exercise regularly at a low to moderate intensity level. However, because resveratrol and exercise improve mitochondrial capacity by the same mechanism, previous studies suggest that resveratrol might be a less effective addition for highly trained athletes engaged in high-intensity exercise.If true, this would put resveratrol in the same category as several other popular exercise supplements such as arginine and citrulline that also appear to be more effective for untrained individuals than they are for highly trained athletes. However, I am aware of many Olympic athletes who use and swear by a resveratrol polyphenol blend. It could be placebo, but it could also suggest that resveratrol does enhance performance for highly trained athletes engaged in high-intensity exercise. As I said at the beginning of this section, there is much more research to do. That’s what makes science so much fun. There are always new things to learn. We are in the very early stages of research into the benefits of resveratrol on exercise. Many studies will be needed before we will be in a position to fully understand the effects of resveratrol on exercise efficiency and performance outcomes. However, a recent study is of interest because it introduces a new perspective to our understanding of the possible effects of resveratrol on exercise efficiency. If true, that would mean resveratrol might increase exercise efficiency for the millions of Americans who are “weekend warriors” or exercise sporadically. It may even be beneficial for those of us who exercise regularly at a low to moderate intensity level. However, because resveratrol and exercise improve mitochondrial capacity by the same mechanism, previous studies suggest that resveratrol might be a less effective addition for highly trained athletes engaged in high-intensity exercise. If true, this would put resveratrol in the same category as several other popular exercise supplements such as arginine and citrulline that also appear to be more effective for untrained individuals than they are for highly trained athletes. However, I am aware of many Olympic athletes who use and swear by a resveratrol polyphenol blend. It could be placebo, but it could also suggest that resveratrol does enhance performance for highly trained athletes engaged in high-intensity exercise. As I said before, there is much more research to do. That’s what makes science so much fun. There are always new things to learn. Do B Vitamins Reduce Heart Disease Risk? What Role Do B Vitamins Play in a Heart Healthy Lifestyle? Two weeks ago I shared some studies that challenge the claim that vitamin E doesn’t reduce heart attack risk. To close out “Heart Health” month, I want to share some information that may change how you think about B vitamins and heart disease risk. Once again, you’ve seen the headlines: “B Vitamins Do Not Reduce the Risk of Heart Disease”. In fact, these headlines have been repeated so many times that virtually every expert thinks that it has to be true. Once again, I’m going to share some information with you that I learned from a seminar by Dr. Jeffrey Blumberg who disagrees with this commonly held belief. Dr. Blumberg is a Professor in the Friedman School ofNutrition Science and Policy at Tufts. Dr. Blumberg has over 200 publications in peer-reviewed scientific journals. He is considered one of the world’s top experts on supplementation, and his specialty is conducting and analyzing clinical studies. He believes that the media has seriously misinterpreted the studies on B vitamins and heart disease risk. You might call this “The Rest of the Story” because you (and your doctor) definitely did not hear this part of the story in the news. The study in question is called the “Heart Outcomes Prevention Evaluation-2“. In that study a group of middle aged men and women received 2.5 mg of folate, 50 mg of vitamin B6 and 1 mg of vitamin B12 versus a placebo and were followed for an average of 5 years. The headlines that you may have seen said “B vitamins do not reduce the risk of major cardiovascular events in patients with vascular disease”. But, the headlines did not tell the whole story. In the first place, that was only true for heart attacks and cardiovascular death. Strokes were reduced by 25%. I don’t know about you, but I consider strokes to be fairly major. However, even when we focus on heart attacks and cardiovascular deaths the headlines didn’t tell the whole story. You see, even the best intentioned studies sometimes contain fatal flaws that aren’t obvious until after the study has been completed. There were two major flaws in this study. 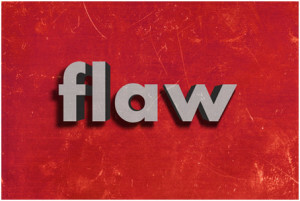 Flaw #1 was that 70% of the study subjects were eating foods fortified with folate and had adequate levels of that nutrient in their bloodstream before the study started. For those people who were already getting enough folate in their diet, B vitamin supplementation didn’t make much of a difference. However, for those people not getting adequate levels of folate in their diet, B vitamin supplementation decreased their risk of heart disease by ~15%. Flaw #2 was that ~90% of the people in the study had a history of coronary artery disease and most of them were already on cholesterol lowering medications. To understand why this is a problem you have to understand both the proposed mechanism by which B vitamin supplementation has been proposed to lower the risk of heart disease AND how the cholesterol lowering drugs work. Deficiencies of folate, B6 and B12 are thought to increase the risk of heart disease because the B vitamin deficiency causes an increase in homocysteinelevels in the blood, and high homocysteine levels are thought to increase inflammation – which is a risk factor for heart disease. So supplementation with folate, B6 and B12 has been proposed to decrease heart disease risk by decreasing inflammation. The problem is that the most commonly used cholesterol lowering medications also decrease inflammation.So you might not be surprised to learn that those people who had a history of coronary artery disease(and were taking cholesterol lowering medication that reduces inflammation) did not receive much additional benefit from B vitamin supplementation. For those people in the study who were not taking cholesterol lowering medication, B vitamin supplementation also reduced their risk of heart attacks by ~15% – but there were too few people in that group for the results to be statistically significant. So the headlines from this study really should have said “B vitamins do not reduce the risk of heart attacks or cardiovascular deaths in people who are already getting adequate folate from their diet or in people who are taking drugs that reduce the bad effects of B vitamin deficiency”. But that kind of headline just wouldn’t sell any newspapers. There are two very important take-home lessons from this study. Lesson #1: Once again this study makes the point that supplementation makes the biggest difference when people have an increased need. The studies discussed in Vitamin E and Heart Disease two weeks ago illustrated increased need because of age, pre-existing disease, and genetic predisposition. This study illustrated increased need because of inadequate diet. Lesson #2: This study also illustrates a problem that is becoming increasingly common in studies of supplementation. It is considered unethical to not provide participants in both groups with what is considered the standard of care for medical practice. In today’s world the standard of care includes multiple drugs with multiple side effects, and some of those drugs may have the same mechanism of action as the supplement. I have discussed this problem in the context of omega-3 fatty acids and heart disease in a previous “Health Tips From the Professor,” Is Fish Oil Really Snake Oil? In many cases it is no longer possible to ask whether supplement X reduces the risk of a particular disease. It is now only possible to ask whether supplement X provides any additional benefit for patients who are taking multiple drugs, with multiple side effects. That’s not the question that many of my readers are interested in. Headlines have proclaimed for years the “B Vitamins Do Not Reduce Heart Disease Risk”. Dr. Jeffrey Bloomberg of Tufts University has reviewed one of the major studies behind this claim and found the headlines to be misleading. For example, the study showed that B vitamin supplementation reduced strokes by 25%, which is a pretty significant finding in itself. #1: 70% of the people in the study were already getting adequate amounts of B vitamins from their diet and would not be expected to benefit from supplementation. For the 30% who weren’t getting adequate amounts of B vitamins from their diet, supplementation reduced their risk of heart attack by 15%. #2: 90% of the people in the study were taking a drug that masks the beneficial effects of B vitamin supplementation. For the 10% who weren’t taking the drug, supplementation with B vitamins also reduced their risk of heart attack by 15%, but there were too few people in that group for the results to be statistically significant. Obviously, there were only a handful of people in the study who weren’t getting enough B vitamins from their diet AND weren’t on medication, so we have no idea what the effect of B vitamin supplementation was in that group. Once again this study makes the point that supplementation makes the biggest difference when people have an increased need. The studies discussed in “Health Tips From the Professor” two weeks ago illustrated increased need because of age, pre-existing disease, and genetic predisposition. This study illustrated increased need because of inadequate diet. This study also illustrates a problem that is becoming increasingly common in studies of supplementation. It is considered unethical to not provide participants in both groups with what is considered the standard of care for medical practice. In today’s world the standard of care includes multiple drugs, some of which may have the same mechanism of action as the supplement. In many cases it is no longer possible to ask whether supplement X reduces the risk of a particular disease. It is now only possible to ask whether supplement X provides any additional benefit for patients who are taking multiple drugs, with multiple side effects. That’s not the question that many of my readers are interested in. A recent study (Tai et al, British Medical Journal, BMJ/2015; 351:h4183 doi: 10.1136/bmj.h4183)reported that calcium supplementation for women over 50 resulted in only a very small increase in bone density, which translated into a very small (5-10%) decrease in the risk of bone fractures. They concluded that the standard RDA recommendation of 1,000 – 1,200 mg/day of calcium for adults over 50 is unlikely to help in preventing osteoporosis or reducing the risk of bone fractures. The study was a meta-analysis of 51 published clinical studies. Normally, meta-analyses are very strong, but they have an “Achilles Heel” – something called the Garbage-In, Garbage-Out Simply put, this means that the meta-analysis is only as strong as the individual studies that went into it. The authors included 40 years of clinical studies in their meta-analysis, and most of those studies had an inadequate design by today’s standards. The study also made a number of what I would call apples to oranges comparisons that were of questionable validity. In this week’s issue of “Health Tips From The Professor”, I would like to explore the other side of the coin. I would like to consider the possibility that the study might be correct and discuss what that might mean for you. What Is A “Bone Healthy” Lifestyle? Despite the concerns I just mentioned, let’s assume for a minute that the study might just be correct in spite of its many flaws. Let’s assume that the “one size fits all” RDA recommendation of 1,000 – 1,200 mg/day of calcium if you are over 50 may actually be flawed advice. If so, perhaps it’s time to say good riddance! It may finally be time to put away the “magic bullet”, “one size fits all” thinking and start seriously considering holistic approaches. Now that I have your attention, let’s talk about what you can do to prevent osteoporosis – and the role that supplementation should play. Let’s talk about a “bone healthy” lifestyle. #1: Let’s start with supplementation: Bone is not built with calcium alone. Bone contains significant amounts of magnesium along with the trace minerals zinc, copper and manganese – and all of these are often present at inadequate levels in the diet. Most of us know by now that vitamin D is essential for bone formation, but recent research has shown that vitamin K is also essential (Kanellakis et al, Calcified Tissue International, 90: 251-262, 2012). An ideal calcium supplement should contain all of those nutrients. #2: Next comes diet: Many of you probably already know that some foods are acid-forming and other are alkaline-forming in our bodies – and that it is best to keep our bodies on the alkaline side. What most of you probably don’t know is that calcium is alkaline and that our bones serve as a giant buffer system to help keep our bodies alkaline. Every time we eat acid-forming foods a little bit of bone is dissolved so that calcium can be released into the bloodstream to neutralize the acid. (My apologies to any chemists reading this for my gross simplification of a complex biological system). 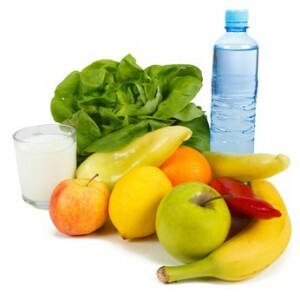 Consequently, if we want strong bones, we should eat less acid-forming foods and more of alkaline-forming foods. Among acid-forming foods, sodas are the biggest offenders, but meat, eggs, dairy, and grains are all big offenders as well. 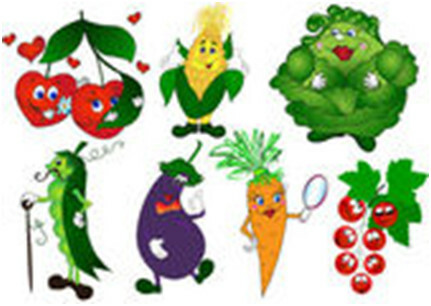 Alkaline-forming foods include most fruits & vegetables, peas, beans, lentils, seeds and nuts. In simple terms, the typical American diet is designed to dissolve our bones. Calcium from diet or supplementation may be of little use if our diet is destroying our bones as fast as the calcium tries to rebuild them. #3: Test your blood 25-hydroxyvitamin D level: 25-hydroxy vitamin D is the active form of vitamin D in our bloodstream. We need a sufficient (20-50 ng/mL) blood level of 25-hydroxy vitamin D to be able to use calcium efficiently for bone formation. We now know that some people who seem to be getting adequate vitamin D in their diet still have low 25-hydroxyvitamin D levels. In fact, various studies have shown that somewhere between 20-35% of Americans have insufficient blood levels of 25-hydroxy vitamin D. You should get your blood level tested. If it is low, consult with your health professional on how much vitamin D you need to bring your 25-hydroxy vitamin D into the sufficient range. 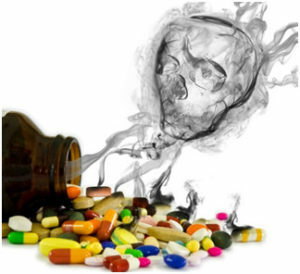 #4: Beware of drugs:The list of common medications that dissolve bones is a long one. Some of the worst offenders are anti-inflammatory steroids such as cortisone & prednisone, drugs to treat depression, drugs to treat acid reflux, and excess thyroid hormone. I’m not suggesting that you avoid prescribed medications that are needed to treat a health condition. I would suggest that you ask your doctor or pharmacist (or research online) whether the drugs you are taking adversely affect bone density. If they do, you may want to ask your doctor about alternative approaches, and you should pay a lot more attention to the other aspects of a “bone healthy” lifestyle. #5: Exercise is perhaps the most important aspect of a bone healthy lifestyle:Whenever our muscles pull on a bone it stimulates the bone to get stronger. I’ll put the benefits of exercise in perspective in the next section. Instead of just quoting more boring studies, I’m going to share a couple of stories that help put the importance of exercise into perspective. The first is my wife’s story. She ate a very healthy diet with minimal meat and lots of fruits and vegetables for years. She took calcium supplements on a daily basis. 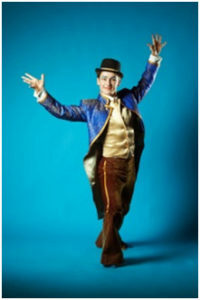 She walked 5 miles per day and took yoga classes several days each week. Yet when her doctor recommended a bone density scan in her early sixties she discovered she had low bone density. She was in danger of becoming osteoporotic! The moral of this story is that you can be doing everything else right, but if you’re not doing weight bearing exercises – if you’re not pumping iron, everything else you are doing may be for naught. Weight bearing exercise is an absolutely essential part of a “bone healthy” lifestyle! But, can exercise do it alone? Some people seem to think so. That brings up my second story. About 30 years ago one of my UNC colleagues, who was an expert on calcium metabolism, was doing a bone density study on female athletes at UNC. One of the tennis players was nicknamed “Tab.” Tab was a popular soft drink at that time, and Tab was all she drank – no milk, no water, only Tab. When my colleague measured the bone density of her playing arm, it was normal for a woman of her age. When he measured the bone density of her non-playing arm, it was that of a 65 year old woman. The reason is simple. 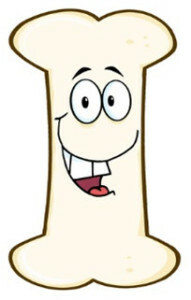 When we exercise a particular bone, our body will add calcium to that bone to make it stronger. If we are not getting enough calcium from our diet, our body simply dissolves the bones elsewhere in our body to get the calcium that it needs. The moral of this story is that exercise alone is not enough. In terms of bone health, we absolutely need exercise to take advantage of the calcium in our diet, and we absolutely need sufficient calcium in our diet to take advantage of the exercise. This is the most glaring deficiency of the meta-analysis I described last week. None of those studies included exercise. No wonder the increase in bone density was minimal! If you seriously want to minimize your risk of osteoporosis, there are a few simple steps you can take (simple, but not easy). Consume a “bone healthy” diet that emphasizes fresh fruits and vegetables, minimizes meats, and eliminates sodas and other acidic beverages. For more details on whether your favorite foods are acid-forming or alkaline-forming, you can find plenty of charts on the internet. Minimize the use of medications that adversely affect bone density. You’ll need to work with your doctor on this one. Get plenty of weight bearing exercise. This is an absolutely essential part of a bone healthy lifestyle. Your local Y can probably give you guidance if you can’t afford a personal trainer. Of course, if you have physical limitations or have a disease, you should consult with your health professional before beginning any exercise program. Get your blood 25-hydroxy vitamin D level tested. If it is low, take enough supplemental vitamin D to get your 25-hydroxy vitamin D level into the sufficient range – optimal is even better. Sufficient blood levels of 25-hydroxy vitamin D are also absolutely essential for you to be able to utilize calcium efficiently. If you are not including dairy products in your diet (either because they are acid-forming or for other health reasons), it will be difficult for you to get adequate amounts of calcium in your diet. You can get calcium from other food sources such as green leafy vegetables. However, unless you plan your diet very carefully you will probably not get enough. If you are taking medications that decrease bone density, that may increase your need for supplemental calcium. Unfortunately, we don’t yet have guidelines on how much is needed. If you do use a calcium supplement, make sure it is complete. Don’t just settle for calcium and vitamin D. At the very least you will want your supplement to contain magnesium and vitamin K. I personally recommend that it also contain zinc, copper, and manganese. Unfortunately, we don’t really have good guidelines for how much calcium you need. Studies like the one described above are challenging the old RDAs, but we don’t yet have enough studies to know how much calcium we need to build strong bones when we are following a “bone healthy” lifestyle that includes proper diet, sufficient 25-hydroxy vitamin D blood levels and plenty of exercise. What About Medications For Preventing Bone Loss? The danger is that, as the conclusions of this meta-analysis get widely publicized and doctors stop prescribing calcium supplements, they probably aren’t going to recommend a holistic approach. They probably won’t recommend a “bone healthy” lifestyle. Instead, they will most likely recommend drugs to prevent bone loss. In fact, the authors of the study described last week specifically praised the use of bisphosphonate drugs (Fosamax and Zometa), and a related drug (Xgeva) that works by a similar mechanism because they increased bone density by 5-9% over 3 years. However, these drugs have a dark side, and it’s not just the acid reflux, esophageal damage and esophageal cancer that you hear about in the TV ads. These drugs all act by blocking bone resorption, the ability of the body to break down bone. In the short term, this prevents the bone loss associated with aging and reduces the risk of bone fractures. However, you might remember from last week’s article that bone resorption is also an essential part of bone remodeling, the process that keeps our bones young and strong. When these drugs are used for more than a few years you end up with bones that are dense, but are also old and brittle. Long term use of these drugs is associated with jaw bones that simply dissolve and bones that easily break during everyday activities. This is yet another example of drugs with side effects that look a lot like the disease you were taking the drug for in the first place. A recent study has reported that the RDA recommendation of 1,000 – 1,200 mg/day of calcium for people over 50 provides only a minimal increase in bone density (0.7-1.8%) over the first year or two. 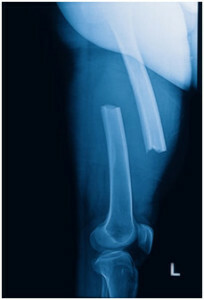 This translates into a very small (5-10%) decrease in risk of bone fractures. It did not matter whether the calcium came from dietary sources or from supplementation. The authors concluded that adding extra calcium to the diet, whether from foods or supplements, was not a very efficient way to increase bone density and prevent fractures. 3. Unfortunately, many doctors are likely to take this study to heart. They are likely to stop recommending calcium and other natural approaches and start relying even more heavily on drugs to preserve bone mass. That’s bad news because, while the most frequently proscribed drugs do increase bone mass and prevent fractures short term, they also cause your bones to age more rapidly. After a few years you end up with bones that are dense, but are also incredibly brittle and fracture very easily. That’s right. If you use these drugs long enough, they will cause the very condition you were trying to prevent. 4. We should also consider the possibility that this study may just be correct. Let’s assume for a minute that the RDA recommendation of 1,000 – 1,200 mg/day of calcium for everyone over 50 may actually be flawed advice. If so, it may finally be time to put away the “magic bullet” thinking and start seriously considering holistic approaches to preserving bone mass. 5. A far better choice is to follow a “bone healthy” lifestyle. Start with a “bone healthy” diet. Avoid acid-forming foods like sodas, meats, eggs, dairy, and grains. Instead choose alkaline-forming foods like most fruits & vegetables, peas, beans, lentils, seeds and nuts. Check on the medicines you are using. If they are ones that adversely affect bone density, ask your health professional if there are bone-healthier options. Check your blood level of 25-hydroxy vitamin D on a regular basis. If it is low, consult with your health professional on the amount of vitamin D you need to take to bring your 25-hydroxy vitamin D into the optimal range. Get plenty of weight bearing exercise. This means pumping iron. It is an absolutely essential part of a bone healthy lifestyle. Of course, if you have physical limitations or have a disease, you should consult with your health professional before beginning any exercise program. If you are not getting sufficient calcium from your diet, consider a complete calcium supplement. In addition to calcium and vitamin D, a bone-healthy calcium supplement should at the very least contain magnesium and vitamin K. I also recommend it contain zinc, copper, and manganese. Just don’t rely on a calcium supplement alone to keep your bone density where it should be. If your 25-hydroxy vitamin D isn’t where it should be and/or you aren’t doing weight bearing exercise on a regular basis, your calcium supplement may be almost useless. All the aforementioned may aid in preventing osteoporosis. In my opinion, that may be the biggest take-home lesson from the recent meta-analysis. Sometimes I write articles pointing out the fallacies in the headlines you’ve been reading. Other times I write articles because major studies have provided a definitive test of a current paradigm. And sometimes I write articles about small studies that have the potential to change existing paradigms. This week’s article falls in the latter category. 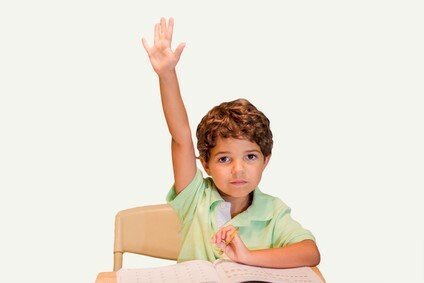 This week’s article is on omega-3 and ADHD in children. More precisely, I’m going to review a study looking at the role of the omega-3s DHA and EPA in reducing ADHD symptoms. Amid growing concern about the side effects and overuse of the stimulant medications used to treat ADHD symptoms in children, many parents have been looking for natural approaches for controlling ADHD symptoms. One of the most popular natural approaches has been omega-3 supplements, primarily the long chain omega-3s, DHA and EPA. Children with ADHD and learning difficulties generally have lower tissue levels of DHA and EPA than children without those deficits. Animal studies show that DHA-deficient diets decrease neuron size and are associated with hyperactive and compulsive behavior. Some clinical studies have reported a significant decrease in ADHD symptoms when children were given omega-3 supplements, while other studies found no effect of omega-3 supplementation on ADHD symptoms. This has led to considerable confusion as to the value of omega-3 supplementation in children with ADHD. Two recent meta-analyses of all high quality published studies have concluded that omega-3 supplements have a beneficial effect on ADHD symptoms, but the effect is relatively small (Bloch and Qawasmi, Journal of the American Academy of Child and Adolescent Psychiatry, 50: 991-1000, 2011; Sonuga-Burke et al. American Journal of Psychiatry, 170: 275-289, 2013). One recent study showed that when omega-3 supplementation was combined with a stimulant medication, it improved the effectiveness of the medication, which allowed physicians to decrease the amount of medication they prescribed (Barragan et al, Journal of Attention Disorders, doi: 1177/1087054713518239, 2014). Previous studies have shown that omega-3 supplementation is most effective in the children who are the most deficient in DHA and EPA at the beginning of the study. This is no surprise. However,what you may not know is that many otherwise healthy children in this country have at least some degree of DHA and EPA deficiency. That’s because major food sources of EPA and DHA, such as salmon and sardines, are not most kid’s favorite foods. Do Omega-3s Improve Attention Span In Children? It included a matched group of boys who had not been diagnosed with ADHD. It used a 1:1 ratio of DHA to EPA, which resulted in a greater intake of DHA than in many of the previous studies. At the start of the study, the children with ADHD scored higher on all measures of ADHD symptoms. No surprise here. The children with the lowest omega-3 levels at the beginning of the study scored highest on all measures of ADHD symptoms. This is also not surprising given the results of previous studies. Omega-3 supplementation increased attention span in boys with ADHD, and the improvement in attention span correlated with an increase in omega-3 status. 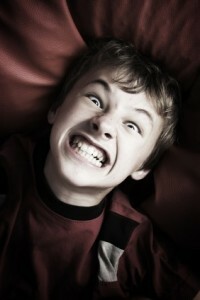 No improvement was seen in other symptoms of ADHD (rule-breaking behavior and aggression). Since different studies tend to use different symptom assessments to measure the severity of ADHD, this may explain why some of the previous studies on omega-3s and ADHD symptoms have come up empty. The authors also suggested that some previous studies may have come up empty because the omega-3 supplements they used were low in DHA. Omega-3 supplementation improved attention span equally well in boys with and without ADHD. This is perhaps not surprising. If you have ever had a child in the 8 to 14 year old range, you know their attention span could stand a bit of improvement. However, when you think about it, this study represents a potential paradigm shift in how we think about omega-3s and childhood behavior. The real significance of this studyis that it suggests that omega-3 supplementation may be beneficial for any child with poor attention span, not just for children with ADHD. This interpretation would be fully consistent with previous studies showing that omega-3 supplementation improves cognitive function and reading skills in children. Previous studies have suggested that the long chain omega-3 fatty acids DHA and EPA are modestly effective at improving ADHD symptoms in children, and that they are most effective in children with the lowest omega-3 status at the beginning of the studies. The current study showed that supplementation with DHA and EPA improved attention span in boys aged 8-14 with ADHD, but did not improve other ADHD symptoms such a rule-breaking behavior and aggression. What does this mean to you if you have a child with ADHD? If the ADHD symptoms are mild and mostly relate to attention span or learning skills, omega-3 supplementation alone may be enough to make a difference. Based on this study you might want to choose an omega-3 supplement that is rich in DHA. If the ADHD symptoms are severe, you will probably need to include omega-3 supplementation as part of a more holistic natural approach for controlling the symptoms. Finally, if a holistic natural approach is just too difficult to manage, the good news is that recent studies suggest that omega-3 supplementation makes ADHD medications more effective, which means your child’s physician may be able to reduce the dose of medication if you include omega-3 supplementation along with the medication. This study was unique in that it also included a control group of 8-14 year old boys without ADHD and found that omega-3 supplementation was equally effective at improving attention span in children without ADHD. This is a single study, but if it is replicated by future studies it suggests that we may need to change our paradigm. What we have been thinking about omega-3 supplementation for children may be all wrong. Perhaps we should stop thinking of it as a supplement that might help with ADHD symptoms and start thinking of it as a supplement that might help children improve their attention span and mental focus whether they have been diagnosed with ADHD or not. This would certainly be consistent with previous studies showing that omega-3 supplementation improves cognitive function and reading skills in children. This study was performed with boys because they are more prone to ADHD symptoms than girls. However, based on numerous previous studies it is safe to assume that it is likely to apply equally well to girls with and without ADHD. I came across a headline in our local newspaper recently that said “Try Nutrition, Not Drugs, for ADHD”. The article made claims like “No good evidence exists to support the ADHD disease hypothesis” and “…on numerous occasions we have seen ADHD symptoms completely disappear without medication”. As a scientist, I am always a little skeptical about bold claims that run counter to established scientific wisdom. However, the authors of this article implied that their claims were based on a 2012 article in Pediatrics, which is a highly respected journal in its field, so I decided to investigate the article (Millichap and Yee, Pediatrics, 129: 1-8, 2012). The article was written by two pediatricians with extensive experience treating children with ADHD. The article turned out to be a pretty thorough review of the literature on nutritional approaches for controlling ADHD. It did not approach the rigor of a meta-analysis study. Rather, it is what I refer to as an “interpretive review”. By that I mean that the clinical studies were interpreted in part on the basis of their clinical experience in treating children with ADHD. Interpretive reviews can be either good or bad, depending on the objectiveness of the reviewers. In this case, I was familiar with many of the clinical studies they reviewed and found their interpretations to be accurate, so I decided to share their conclusions with you. Is an ADHD Diet Better Than Medication For ADHD? Medicines fail or there are adverse reactions (side effects). The parents or the patients prefer a more natural approach. There are symptoms or signs of a mineral deficiency (more about that below). Do Omega-3 Fatty Acids Reduce ADHD Symptoms? The authors reported that a number of studies have shown that children with ADHD tend to have low levels of essential fatty acids, especially the omega-3 fatty acids. They cite several studies which showed significant improvement in reading skills and reductions in ADHD symptoms when children with ADHD were give omega-3 supplements, but also noted that other studies showed no effect.They postulated that some children may benefit more from omega-3 supplementation than others. They routinely use doses of 300-600 mg of omega-3s with their ADHD patients. They find that this intervention reduces ADHD symptoms in many children, but does not completely eliminate the need for medications. My Two Cents: I have previously reported on the improvement in reading skills(Omega-3’s Improve Reading Skills) and reduction in ADHD symptoms (Can Fish Oil Make Children Smarter?) when children were given omega-3 supplements. In both cases, it was the children with the lowest omega-3 levels who benefitted most. No surprise there. Whether it will help your child is anyone’s guess. However, it is a natural approach with no side effects. It is certainly worth trying. 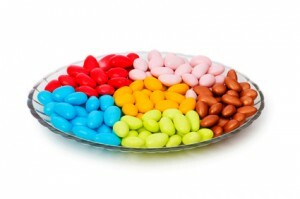 Does the Elimination of Food Additives Reduce ADHD Symptoms? The current interest in food additives and ADHD originated with the Feingold diet. The Feingold diet eliminated food additives, foods with salicylates (apples, grapes, luncheon meats, sausage, hot dogs and drinks containing artificial colors and flavors), and chemical preservatives (e.g. BHA and BHT). It was popularized in the 1970s when some proponents claimed that it reduced ADHD symptoms in 50% of the children treated. After clinical studies showed that only a small percentage of children actually benefitted from this diet, it rapidly fell out of favor. However, Millichap and Yee pointed out that more recent studies have shown that the subset of children who responded to the Feingold diet were not a “statistical blip”. 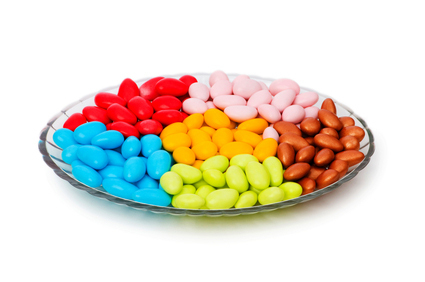 A recent review of the literature reported that when children with suspected sensitivities to food additives were challenged with artificial food colors, 65–89% of them displayed ADHD symptoms. My Two Cents: I have previously reported on the effects of artificial food colors on ADHD (Do Artificial Colors Cause Hyperactivity?). The studies I reviewed in this article reported that up to 28% of children with ADHD were sensitive to the amount of artificial food colors in the typical western diet and that removing those food colors resulted in a significant improvement in ADHD symptoms. Plus, those studies were just looking at food colors – not the hundreds of other food additives in the average American child’s diet. I consider food additives to be problematic for many reasons. Even if doesn’t reduce their ADHD symptoms, eliminating as many of those food additives as possible is probably a good idea. It doesn’t need to be complicated. Just replacing processed foods and sodas with fresh fruits and vegetables and with low fat milk and natural fruit juices diluted with water to reduce their sugar content might make a significant difference in your child’s ADHD symptoms. Even natural foods can be a problem for children with food sensitivities, and it appears that there may be a large percentage of hyperactive children with food sensitivities. Millichap and Yee reported that elimination diets (diets that eliminate all foods which could cause food sensitivity) improve behavior in 76-82% of hyperactive children. My Two Cents: I have previously reported on the link between food sensitivities and hyperactivity (What Causes ADHD?). I agree with Millichap and Yee that elimination diets are difficult and view this as something to be tried after all other natural approaches have failed. However, if there is a particular food that causes hyperactivity in your child, identifying it and eliminating it from their diet could just be something that will benefit them for the rest of their life. This is a particularly interesting topic. Many parents are absolutely convinced that sugary foods cause hyperactivity in their children, but the experts are saying that clinical studies have disproven that hypothesis. They claim that sugar has absolutely no effect on hyperactivity. Millichap and Yee have an interesting perspective on the subject. 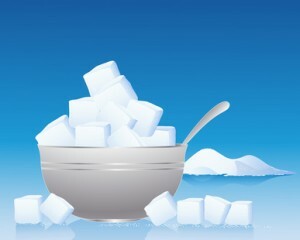 They agree that clinical studies show that a sugar load does not affect behavior or cognitive function in small children, but they point to numerous clinical studies showing that the reactive hypoglycemia that occurs an hour or two after a sugar load adversely affects cognitive function in children, and that some children are more adversely affected than others. My Two Cents: Reducing intake of refined sugars in your child’s diet makes sense for many reasons, especially considering the role of sugar intake in obesity. If your child has a tendency towards reactive hypoglycemia, it may also reduce ADHD symptoms. Does Eliminating Iron and Zinc Deficiencies Reduce ADHD Symptoms? Millichap and Yee reporting some studies suggested that iron and zinc deficiencies may be associated with ADHD symptoms, and recommend supplementation with an iron or zinc supplement when there is a documented deficiency. My Two Cents: A simpler and less expensive approach would be a children’s multivitamin to prevent the possibility of iron or zinc deficiency. Of course, I would recommend that you choose one without artificial colors, preservatives and sweeteners. Does Eating A Healthy Diet Reduce ADHD Symptoms? Millichap and Yee closed their review by discussing a recent study in Australia that reported a significant reduction in ADHD symptoms in children eating “Healthy” diets (fish, vegetables, tomato, fresh fruit, whole grains & low fat dairy products) compared to children eating “Western” diets (Fast foods, red meat, processed meats, processed snacks, high fat dairy products & soft drinks). This is the ADHD diet approach, along with omega-3 supplementation, that they recommend most frequently for their patients. My Two Cents: I wholeheartedly agree. In fact, if you and your family were to follow a “Healthy” diet instead of a “Western” diet it would likely have numerous health benefits. Plus, you are automatically removing ADHD triggers like food additives and sugar from your child’s diet. Use of omega-3 supplements. They recommended 300-600 mg/day. Removal of food additives (particularly food colors) from the diet. Identification of food sensitivities and removal of those foods from the diet. Reducing the amount of simple sugars in the diet. Elimination of iron and zinc deficiencies if they exist (Iron deficiency is relatively common in American children. Zinc deficiency is not.) Alternatively, I recommend a children’s multivitamin to prevent iron and zinc deficiencies in the first place. Eating a healthy diet rather than a Western diet. This also has the benefit of reducing the amount of food additives and sugars in the diet. 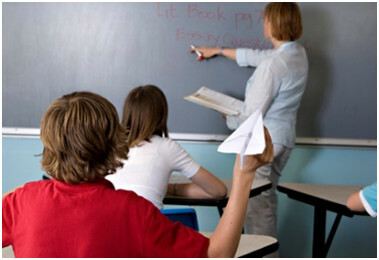 The bad news is that each of these approaches seems to work only in a subset of children with ADHD. If you are a parent who is interested in a natural alternative to ADHD stimulant medications this means you may need to be patient and try several natural approaches until you find the one(s) that work(s) best for your child. The benefit of making the effort is that all of these approaches will also improve the health of your child in other important ways, and none of them have any side effects. Unfortunately, the physician with only about 10 minutes to spend with each patient (which is increasingly the medical model in this country), may not have time to explore natural options. Medications are much easier to prescribe. You may need to be the one who takes the responsibility of exploring natural alternatives for your child. How Do Stanols And Sterols Lower Cholesterol? Are there alternatives to statins? If you have been looking for natural approaches for lowering your cholesterol and protecting your heart, you’ve probably been hearing a lot about plant stanols and sterols lately. What Are Stanols and Sterols & What Do They Do? Just what are plant stanols and sterols and why does the National Institutes of Health (NIH) recommend them as a natural approach for lowering cholesterol? Stanols and sterols are natural substances found in plants that have a structural resemblance to cholesterol. Because they look a lot like cholesterol, they compete with cholesterol for absorption from the intestine into the mucosal cells lining the intestine. However, once they get into the intestinal mucosal cells they are recognized as foreign and are immediately pumped back into the intestine so that they never get into the bloodstream. Let me give you an analogy. 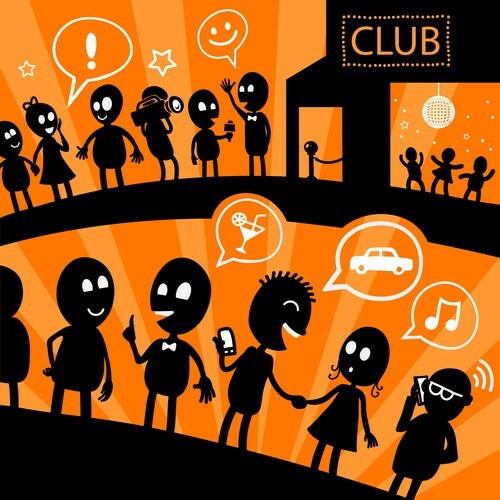 Let’s think of the intestinal mucosal cells as a nightclub. The doorman doesn’t check IDs. He lets everyone into the club. Pretty soon the word gets around and stanols and sterols start lining up at the door. If a cholesterol molecule comes along, he gets discouraged by the line and doesn’t even try to get in. What the stanols and sterols don’t know is that there is a bouncer inside the club who does check IDs throws everyone who doesn’t belong there out the back door. When you think about it, this is the best of all possible worlds. 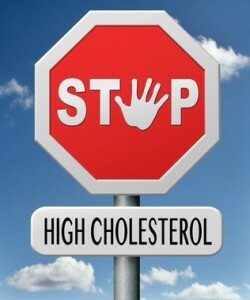 Cholesterol molecules don’t get into the bloodstream and neither do the stanols and sterols. Alternatives to Statins: How Do Stanols and Sterols Lower Cholesterol? As part of their Therapeutic Lifestyle Change Program the NIH recommends that people with elevated cholesterol consume 2 grams of plant stanols and sterols a day because over 80 clinical studies have proven that they work. Two grams a day of stanols and sterols is sufficient to lower LDL cholesterol (the bad kind) by 9 to 13%. And many other clinical studies have shown that lowering LDL cholesterol by that much will lower your risk of a heart attack by 18-26%. No wonder the NIH is so bullish on stanols and sterols! #1: If 2 grams a day is good, would more be better? No. Studies clearly show that 2 grams/day is optimal. Higher intakes do not lead to a significantly greater reduction in LDL cholesterol. #2: Are there any side effects from consuming plant stanols & sterols on a daily basis? No. That’s the great thing. Plant sterols and stanols are natural substances that we consume every day – and clinical studies have shown that they have no side effects. #3: Is there some magical stanol/sterol combination that is more effective than others (as some supplement manufacturers would have you believe)? No. Numerous studies have shown that stanols and sterols from many different sources have exactly the same effect and that it doesn’t matter whether they are esterified or not. #4: Can I get 2 grams a day of stanols and sterols from my diet? It’s unlikely. Even the best natural sources (usually fruits and vegetables) only have 5 to 40 mg per serving. If you are a vegetarian you can expect to get around 700 mg from your diet. If you consume a typical American diet you get around 250 mg and if you eat a lot of fast food you are probably getting less than 100 mg.
#5: I’ve noticed that food manufactures have started fortifying foods with stanols and/or sterols. Is this a good choice for me? Not necessarily. You need to remember that Big Food Inc is not always your friend. To get 2 grams of stanols from Benecol you would need to consume 280 calories, 4 grams of saturated fat and 1.2 grams of trans fat. Two grams of stanols from Promise activ Super-Shot only costs you 70 calories, but it comes with artificial colors and 8 grams of sugar plus sucralose. #6: When should I consume stanols and sterols if I want to maximize my LDL cholesterol reduction? Any time from 30 minutes prior to your meal to with your meal is ideal – but the plant sterols and stanols will exert their beneficial effects for several hours so the time that you take the stanols & sterols is not critical. #7: Are plant sterols and stanols a source of dietary fiber? No. Plant stanols & sterols and dietary fiber work by different mechanisms – but they do complement each other in lowering LDL cholesterol. As a matter of fact, the NIH Therapeutic Lifestyle Program recommends 10-25 grams/day of soluble fiber along with the 2 grams/day of stanols and sterols. You should consider stanols/sterols and dietary fiber as a powerful one-two punch in your battle to lower your LDL cholesterol naturally. #8: I’m already taking a statin drug. Is it OK to take plant stanols & sterols as well? What I do not recommend is that you go off your statin drug and switch to a supplement containing stanols and sterols without consulting your doctor. Stanols and sterols have a more modest cholesterol lowering effect (and fewer side effects) than statin drugs. So if you were to just go off your statin and switch to a stanol/sterol supplement, your cholesterol levels might actually go up. #9: Should I ask my doctor before taking plant stanols & sterols? I always recommend that you keep your doctor informed about what you are doing. However, because the NIH recommends plant sterols and stanols for people with elevated cholesterol, your doctor is very likely to approve. Plant stanols and sterols can be an important part of a holistic approach to lowering cholesterol naturally. In fact, the NIH recommends 2 grams/day of plant stanols and sterols as part of its Therapeutic Lifestyle Change Program for lowering cholesterol. 2 grams/day of plant stanols and sterols lowers LDL cholesterol (the bad kind) by an average of 9 to 13%, which is sufficient to decrease your heart attack risk by 18-26%. 2 grams of stanols & sterols a day is optimal. More is not better. There are no side effects to adding stanols & sterols to your diet. There is no “magical” sterol/stanol formulation. They all work about the same. It is very unlikely that you can get 2 grams/day of stanols & sterols from your diet. It is best to consume stanols & sterols before or with a meal, but the exact timing isn’t crucial. Stanols & sterols are not the same as dietary fiber, but stanols/sterols and dietary fiber complement each other as part of a holistic approach to lower cholesterol. It is OK to take stanols & sterols along with a statin drug. In fact, this is part of the approach recommended by the NIH Therapeutic Lifestyle Change Program. However, I do not recommend going off of a statin drug and substituting stanols & sterols without the permission of your doctor. How To Prevent Memory Loss? Want to know how to prevent memory loss? 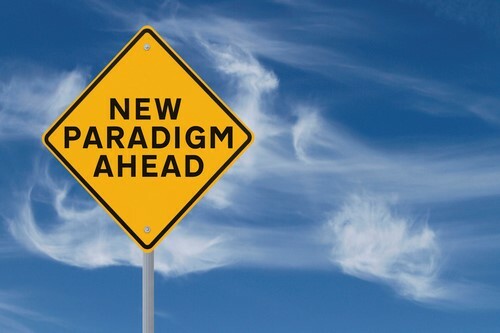 Every once in a while a breakthrough study comes along that has the potential to change paradigms. A recent study (Jerneren et al, Am J Clin Nutr, 102: 215-221, 2015) looking at the potential of B vitamins and omega-3s to slow brain shrinkage in the elderly is just such a study. It has the potential to forever change the way we think about preserving brain health as we age. 8 million will develop mild cognitive impairment. 4 million will develop dementia. 3 million will develop Alzheimer disease. Unfortunately, there is no effective drug treatment for preventing this cognitive decline, and there don’t appear to be any promising new drugs on the horizon. So it is only natural to ask whether there are diet and lifestyle changes that might reduce the rate of cognitive decline as we age. 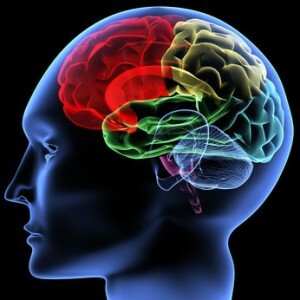 As I discussed in previous issues of “Health Tips From the Professor” there are clinical studies suggesting that B vitamins and omega-3 fatty acids can both slow the brain shrinkage and cognitive decline associated with aging. Unfortunately, there are also clinical studies that have come up empty. 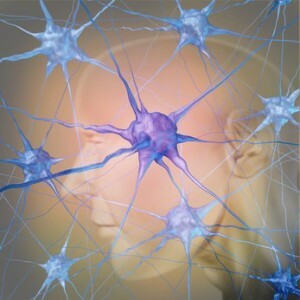 They have found no effect of B vitamins or omega-3 fatty acids on brain shrinkage or cognitive decline. Because of these conflicting clinical results, many experts are simply not ready to endorse natural approaches for preventing cognitive decline. That’s what makes the current study (Jerneren et al, Am J Clin Nutr, 102: 215-221, 2015) paradigm-changing. If this study is correct, you need both B vitamins and omega-3 fatty acids together to prevent cognitive decline. Neither one will work without the other. That would explain a lot! The previous studies have not been designed to test the effects of both B vitamins and omega-3 fatty acids simultaneously. Whether or not the diets of previous study participants were adequate with respect to B vitamins and omega-3s was a matter of pure chance. If the diets were adequate in both B vitamins and omega-3s, the study outcome might be positive. If the diets were only adequate in just one or the other, the outcome would almost assuredly be negative. Why Might B Vitamins and Omega-3s Both Be Required for Brain Health? It is easy to understand why B vitamins and omega-3s each might be important for preventing cognitive decline individually. Cognitive decline is closely associated with elevated levels of homocysteine, a toxic amino acid metabolite, and multiple clinical studies have shown that the combination of folic acid, vitamin B12 and vitamin B6 is effective at lowering homocysteine levels. The omega-3 fatty acids are an integral part of the myelin sheath that coats our neurons. You can think of myelin as being like the plastic coating on an electrical wire that allows the electrical current to travel from one end of the wire to the other without shorting out. Myelin plays essentially the same role for our neurons. But what is the possible connection between B vitamins and omega-3s with regard to brain health? The authors of this study had an interesting hypothesis. It turns out that when homocysteine levels are elevated due to B vitamin deficiency methionine levels and the levels of a number of downstream metabolites, including phosphatidylcholine, are reduced – and phosphatidylcholine is what delivers omega-3 fatty acids to the brain. If their hypothesis is correct, adequate levels of B vitamins are required to deliver omega-3 fatty acids to the brain. That means that omega-3 fatty acids would only be effective at preventing brain shrinkage and/or cognitive decline in studies where the subjects were receiving adequate B vitamins as well. Conversely, if we assume, as the authors suggested, that the real role of B vitamins is to assure the presence of enough phosphatidylcholine to deliver omega-3 fatty acids to the brain, B vitamins would be effective only in clinical studies where the subjects were also getting sufficient omega-3s from their diet. The study itself included 168 adults over the age of 70 (average age = 77) with mild cognitive impairment at the beginning of the study. Half of them were given a high dose B vitamin supplement (800 ug folic acid, 500 ug vitamin B12, and 20 mg vitamin B6), and the other half were given a placebo. Brain MRI scans were performed at the beginning of the study and again 2 years later to measure brain volume. Blood levels of omega-3 fatty acids were assessed at the beginning of the study. When the data were analyzed at the end of the study, the subjects with blood omega-3 levels of >590 umole/L were classified as having high omega-3 status, and subjects with blood omega-3 levels <390 umole/L were classified as having low omega-3 status. B vitamin treatment reduced brain shrinkage by up to 70% over a two year period in adults over the age of 70. 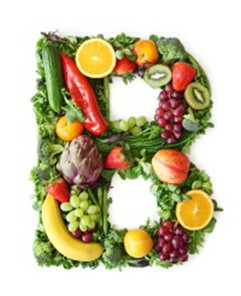 The B vitamin treatment was only effective when the subjects were deficient in B vitamins at the beginning of the study, as indicated by elevated homocysteine levels. The B vitamin treatment was also only effective in subjects with high omega-3 status. The B vitamin treatment had no benefit in subjects with low omega-3 status. In today’s scientific world, “gold standard” clinical studies are considered to be those in which a single variable is evaluated in a double-blind, placebo-controlled clinical trial. Unfortunately, this reductionist approach can sometimes lead to misleading and confusing results. The question that came to me as I heard him speak was: “What’s the message that a responsible scientist or responsible health professional should be giving to their patients or the people that they’re advising?” You’ve heard experts saying: “Don’t worry about the fat” “Don’t worry about calcium.” “Don’t worry about B-vitamins.” “Don’t worry about fiber.” “None of them can be shown to decrease the risk of colon cancer.” Is that the message that we should be giving people? Or should we really be saying what that doctor said many years ago – that a lifestyle that includes all of those things significantly decreases the risk of colon cancer? Similarly, in a recent “Health Tips From the Professor” I shared a study, Alzheimers Hope, showing that a holistic program involving exercise, a healthy diet, socialization and memory training significantly reduced cognitive decline in the elderly. Once again, it has been very difficult to reproducibly show that any of those interventions individually prevent cognitive decline. That is what makes the current study so exciting. It is a single study, and it is a relatively small study. It definitely needs to be repeated. However, it has the potential to be a paradigm-shifting study. Previous studies looking at the effect of B vitamins and omega-3s on brain shrinkage and/or cognitive decline have been inconsistent. Many have shown a benefit, but some have not. But, until now, none of the studies have looked at B vitamins and omega-3s together. If this study is correct, all future studies should examine the effect of both B vitamins and omega-3s together. The paradigm will have been forever changed. The important question is whether this is just an academic discussion or does it really matter? If most older adults were getting adequate amounts of omega-3s and B vitamins in their diet, this would merely be an academic discussion. Unfortunately, that is not the case. Our oceans and rivers are becoming more and more polluted, and many people are avoiding fish because of concerns about heavy metal or PCB contamination. There is also an increasing emphasis on eating “sustainable” fish. That usually means the fish are farm raised, and farm raised fish are the most likely to be contaminated with PCBs, which is unfortunate. For example, I recently went to a nice restaurant that had a delicious sounding salmon dish on their menu. They could guarantee that the salmon was sustainably raised, but they couldn’t guarantee it was PCB-free. I chose not to eat the salmon. It is no wonder that many adults aren’t getting enough omega-3s in their diet. In a recent “Health Tips From the Professor,” Do women get enough omeg-3 during pregnancy I reported a study showing that a shocking 75% of pregnant and lactating Canadian women were not getting enough omega-3s in their diet! Other studies suggest those of us in the United States don’t do much better. Deficiency of the enzyme methylenetetrahydrofolate reductase (MTHFR) substantially increases the requirement for folic acid. About 10% of the US population has this enzyme deficiency. Clearly, this is not just an academic argument. Millions of older Americans are deficient in B vitamins or omega-3s or both. A recently published study looked at the effect of high dose B vitamin supplementation on brain shrinkage over a two year periods in adults over 70 (average age 77) with mild cognitive impairment at the beginning of the study. This study differed from all previous studies in that it also measured omega-3 fatty acid levels in the blood at the beginning of the study to assess omega-3 status. B vitamin treatment reduced brain shrinkage by up to 70% over the two year period compared to placebo. The B vitamin treatment was also only effective in subjects with high omega-3 status at the beginning of the study. If they had low omega-3 status, the B vitamin supplementation was ineffective. This study has the potential to forever shift the paradigm for preventing cognitive decline in the elderly. Past studies have looked at the effect of B vitamins and omega-3s at reducing cognitive decline separately, and these studies have been inconsistent. If this study is correct, consistent benefits will only be seen when both B vitamins and omega-3 fatty acids are present at adequate levels. This is a concern because millions of older Americans are deficient in B vitamins or omega-3s or both. How to prevent memory loss? Of course, B vitamins and omega-3s are just part of a holistic approach for preventing cognitive decline. Weight control, exercise, a healthy diet, adequate sleep, socialization, and memory training (mental exercise) are also important if we want to retail our full mental capacity into our 90s and beyond. Do statins cause memory loss? They are at it again. The medical profession is telling us that yet another study shows that statins are safe, so almost everyone should be taking a statin drug. There is only one problem. That’s not what the study really showed. Let’s start at the beginning. For people who have already had a heart attack it is pretty clear that statin drugs save lives. If stain drugs were only prescribed for people who have had a heart attack or were at high risk of having a heart attack, I would be a proponent of their use. However, the guidelines developed by the pharmaceutical and medical industry recommend statin use for millions of Americans who have never had a heart attack and who are at low to moderate risk of ever having a heart attack. That is problematic. As I documented in a recent “Health Tips From the Professor” the benefits of statins are marginal at best in healthy people who have not yet had a heart attack. In addition, statins have some significant side effects. For example, up to 5% of people taking statins develop muscle pain and weakness. For most people the muscle pain is merely an inconvenience, but in a small percentage of cases it can lead to serious complications. More concerning are the required label warnings that statins can lead to memory loss, mental confusion, high blood sugar and type 2 diabetes. In fact, a recent study described in “Health Tips From the Professor” suggests that statins may increase diabetes risk by as much as 46%. In other words, statins may not kill you, but they sure can make life miserable. For many people, the most troubling aspect of statin use is memory loss. One of the most terrifying aspects of aging is the thought that you might be able to keep your body healthy but lose your mind. However, recent headlines have proclaimed that we can “forget” about statins causing memory loss (Pardon the pun. I couldn’t resist it). They claim that a recent study has shown that statins don’t actually cause memory loss. The problem is that is not exactly what the study showed. It is only the medical profession’s interpretation of what the study showed. Why Might Statins Cause Memory Loss? Statin drugs block cholesterol synthesis, and cholesterol is an integral part of the myelin sheath that coats our neurons. You can think of myelin as being like the plastic coating on an electrical wire. It is that plastic coating that allows the electrical current to travel from one end of the wire to the other without shorting out. Myelin plays essentially the same role for our neurons. Because of the importance of cholesterol in maintaining the integrity of myelin, there was concern from the earliest days of statin development that it might adversely affect memory. Thus, multiple clinical studies have been performed to determine whether statin use adversely affects memory. Unfortunately, the previous clinical studies have been inclusive. Some suggested that statins cause memory loss. Others found no correlation between statin use and memory loss. A few actually suggested that statins improved memory. There are a number of reasons why the previous studies came to different conclusions including use of different statin drugs, different duration of the studies, and differences in how memory was measured. It also included a group of patients who were using non-statin cholesterol lowering drugs. The study drew on patient data from the online Health Improvement Network database collected from general practitioners offices throughout England between July 7, 2013 and January 15, 2015. The study compared 482,543 statin users with 482,543 matched controls using no cholesterol lowering medication and 26,484 patients using non-statin cholesterol lowering medications. The average age of the participants in this study was 63. Memory loss within the first 30 days after initiation of drug therapy was assessed by scanning the medical records in the database for codes related to memory loss. Stain drug users were 4-fold more likely to experience short term memory loss within the first 30 days than non-users, and the likelihood of memory loss was dose dependent. The users of non-statin cholesterol lowering drugs were also 4-fold more likely to experience short term memory loss within the first 30 days than non-users. As you might expect there was no significant difference in memory loss between users of the statin and non-statin cholesterol lowering drugs. How Were The Results Interpreted? The association of memory loss with cholesterol lowering drugs is the result of something called “detection bias”. Let me explain. 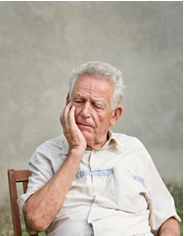 Some memory loss is fairly common for people in their 60s and beyond. The term “detection bias” simply means that the patients might have been more acutely aware of memory loss because they were monitoring themselves for side effects to the drug they just started taking. Of course, the medical profession is so confident in the benefits of statins that they focused on the second interpretation, and that is the one that you heard about in all of the press releases about this study. If you believe that the self-reported memory loss in this study was entirely due to detection bias, then the most logical interpretation of the study is that statin drugs really don’t cause memory loss. However, I consider the first interpretation to be the most likely of the two. If use of cholesterol lowering drugs were associated with a 25% or 50% increase in memory loss, detection bias could have been a credible interpretation of the data. However, a 4-fold increase in memory loss is hard to ascribe to detection bias alone. Furthermore, the first explanation is fully consistent with what we know about myelin. Because of the importance of cholesterol in maintaining the integrity of the myelin sheath, it is logical that any drug that dramatically lowers cholesterol levels could have an adverse effect on cognitive function. Are There Other Options Besides Statin Drugs? Add 2 grams per day of plant stanols and sterols to your diet. In most cases some that will require some degree of supplementation. Make sure that you get 10-25 grams per day of soluble fiber. In addition, you should get at least 30 minutes of a moderate intensity physical activity, such as brisk walking, on most, and preferably all, days of the week. There is ample evidence that implementation of these lifestyle changes will reduce cholesterol levels and reduce the risk of heart attack and stroke without any side effects. The reduction in cholesterol levels is more modest than what can be achieved with cholesterol lowering medications, but perhaps that is the point. 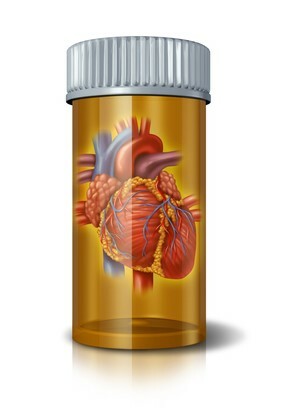 Perhaps the medical profession is being too aggressive in reducing cholesterol levels with drug therapy. If you are a bit overwhelmed by the TLC recommendations, there is good news. 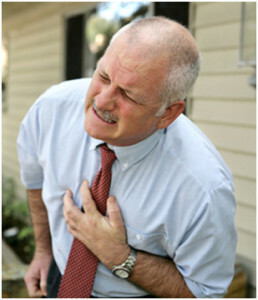 Even one or two of the lifestyle changes mentioned above can substantially reduce your risk of heart attack or stroke. For example, in a previous “Health Tips From the Professor,” apple a day keeps statins away, I reported on a study claiming that simply eating one apple a day would be just as effective as statins at reducing cardiovascular deaths. Nitrate from foods such as beetroot and spinach reduce blood pressure and improve endothelial health. This is also a topic I have covered in a previous “Health Tips From the Professor” Nitric Oxide Benefits Side Effects. Resveratrol and related polyphenols reduce inflammation and improve endothelial health. I could go on, but you get the point. There are other natural approaches for reducing heart attack risk. Statins and other cholesterol lowering drugs are not the only game in town. Red Yeast Rice Yeast Rice Side Effects? However, just because a supplement is natural doesn’t necessarily mean that it is either safe or effective. Red yeast rice is a perfect example. 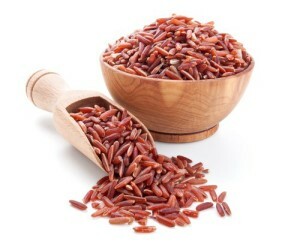 Many people think of red yeast rice as a natural way to reduce cholesterol levels. They believe red yeast rice side effects are non-existent. Nothing could be further from the truth! The active ingredients in red yeast rice are a class of compounds called monacolins, which are close analogs of the statin drugs. In fact, the most abundant monacolin, monacolin K, is identical to the statin drug lovastatin. That destroys one myth. If a red yeast rice product contains as much monacolin K as a lovastatin pill, it would have the same benefits and the same side effects. It only gets worse! In fact, you have no way of knowing how much monacolin K is in your red yeast rice supplement. Because lovastatin is a drug the manufacturers are caught in a Catch-22 situation. If the manufacturers were to actually standardize or disclose the levels of monacolin K in their product, the FDA would consider it an unapproved drug. Total monacolins in the supplements ranged from 0.31 to 11.15 mg/capsule. Monacolin K (lovastatin) ranged from 0.10 to 10.09 mg/capsule. To put that into perspective therapeutic doses of lovastatin range from 10 to 80 mg/day. It gets even worse! The study also measured levels of a toxin called citrinin that is produced by a fungus and is potentially toxic to the kidneys. This is not a toxin that you would find in a pharmaceutical product like lovastatin, but it was present in high levels in one third of the red yeast rice formulations tested. To sum it all up, if you were to go out and purchase a red yeast rice supplement. You might get a batch with no active ingredients. It wouldn’t have any of the side effects of a statin drug, but it wouldn’t have any efficacy either. You might get a batch that would have the same efficacy and the same side effects as a low dose statin drug. You would have a 33% chance of getting a batch that was contaminated with a toxin that you would never find in a statin drug. I don’t know about you, but after reading that study I have no desire to ever try a red yeast rice supplement. For people who have already had a heart attack statin drugs are clearly beneficial. They save lives. Are of marginal efficacy in low to moderate risk individuals who have not suffered a heart attack. Can cause muscle pain and weakness, which can lead to serious illness in a small percentage of the cases. May increase the risk of developing type 2 diabetes by up to 46%. May cause memory loss and mental confusion. A recent study showed that both statin and non-statin cholesterol lowering drugs caused 4-fold greater short term memory loss in older adults compared to matched patients who were not taking statin medications. The medical profession has chosen to interpret this study as showing that statin drugs don’t cause short term memory loss, and that is the interpretation that has been widely reported in the press. I feel that the more logical interpretation of the data is that both statin and non-statin cholesterol lowering drugs cause short term memory loss. Fortunately, there are natural approaches for reducing cholesterol levels and heart disease risk without any side effects. For example, the National Heart Lung and Blood Institute recommends a natural approach called Therapeutic Lifestyle Change or TLC . There are also natural approaches for reducing other risk factors for heart disease such as high blood pressure, high triglycerides, and inflammation. These include things like omega-3 fatty acids, nitrate from vegetables like beetroots and spinach, and polyphenols like resveratrol just to name a few. However, natural is not always better. Red yeast rice, for example, is neither safe nor effective. For more details, read the article above. When taken by people who have already had a heart attack, statins clearly save lives. However, as I documented in my eBook “The Myths of the Naysayers” (scroll down to Check It Out if you would like to learn how you can get that eBook for FREE) the benefits of statins are marginal at best in healthy people who have not yet had a heart attack. So are statins one of the risk factors for diabetes? In addition, statins have some significant side effects. For example, up to 5% of people taking statins develop muscle pain. For most people the muscle pain is merely an inconvenience, but in a small percentage of cases it can lead to fatal complications. More concerning are the required label warnings that statins can lead to memory loss, mental confusion, high blood sugar and type 2 diabetes. In other words, they may not kill you, but they sure can make life miserable. Dr. Blumenthal made that statement a few years ago when we thought that statins only increased diabetes risk by 9-22%. The latest study suggests that statins may increase diabetes risk by as much as 46%. That, in my opinion, is a game changer. The idea that statins increase the risk of type 2 diabetes is not new. Previous studies have reported that statins increase the risk of diabetes anywhere from 9% to 22%. As a consequence, the FDA required that “increased risk of elevated blood sugar and developing type 2 diabetes” be added to the warning label on statin drugs starting in 2012. Previous studies were often done with patient populations at very high risk of cardiovascular disease. In today’s world statin drugs are often prescribed for patients at moderate or low risk of cardiovascular disease. The authors felt that the effect of statins on diabetes risk might not be the same in these two populations. Previous studies relied on self-reported diabetes or fasting blood glucose levels as the criteria for classifying the study subjects as diabetic. In today’s world there are a wider array of diagnostic tests that are used to confirm a diagnosis of diabetes. This was a healthy cross-section of the Finnish population. Only 24.5% of the study participants were using statin drugs. 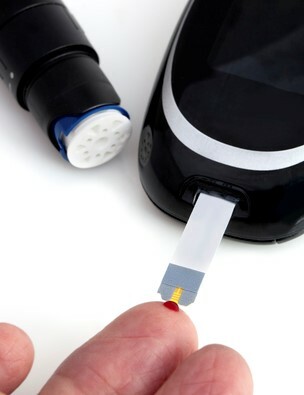 The diagnosis of diabetes was based on multiple criteria: fasting blood glucose levels, an oral glucose tolerance test, and hemoglobin A1c (a measure of blood sugar control over the last 6 weeks). As you might suspect, the increased risk of developing diabetes during the 6-year trial was greatest for those who were older, more obese, less physically active and had more advanced metabolic syndrome at the beginning of the study. What was surprising, however, were the other conclusions of the study. Statin treatment increased the risk of developing type 2 diabetes by 46%, and the increased risk of developing diabetes directly correlated with the dose of the statin drug. Insulin sensitivity was decreased by 24% and insulin secretion was decreased by 12% in individuals on statin treatment. In layman’s terms that means the pancreas was 12% less able to release insulin and tissues in the body were 24% less able to respond to insulin. That’s a double whammy! Even though this study is a significant improvement over previous studies, it does have some limitations of its own. The study population was exclusively white, Finnish men. The conclusions may not apply to other population groups. Simvastin (Zocor) and atorvastatin (Lipitor) were the most widely used statin drugs in this study (84% of the study participants taking statins were on one of these two drugs). These two statins clearly increased the risk of developing diabetes in a dose-dependent manner. There were not enough subjects on the other statin drugs to evaluate their effect on diabetes risk, but previous studies have suggested that other statins may be less prone to increase diabetes risk. Should You Take Statins If you are Diabetic or Pre-Diabetic? If you have three or more of these symptoms, you likely have metabolic syndrome or pre-diabetes. The problem is that the benefits of statin therapy in healthy individuals who have not had a heart attack are modest at best. This sets up a real “Catch 22” situation. Diabetes and pre-diabetes increase the risk of heart disease, so current guidelines recommend that statin drugs should be prescribed for individuals who are pre-diabetic or diabetic. However, we now know that those very same statin drugs increase the risk of you becoming diabetic if you are already pre-diabetic. Because they decrease insulin production and increase insulin resistance they may also make your diabetes worse if you are already diabetic, but that has not been directly tested. That is concerning because diabetes can lead to very serious complications such as neuropathy (numbness in the extremities), kidney disease & kidney failure, high blood pressure and stroke, and cataracts & glaucoma. Of course, you can always use diabetes medications to counteract the diabetes-enhancing effect of the statins, but those medications also have serious side effects. The pharmaceutical merry-go-round continues! Are There Alternatives For Reducing the Risk Of Heart Disease? If statins are only modestly effective at reducing the risk of heart disease in otherwise healthy individuals and they significantly increase the risk of developing diabetes, it is perhaps prudent to ask whether there are alternative, non-drug approaches that can significantly reduce your cholesterol levels and allow you to avoid statins altogether? The NHLB Institute recommends that the TLC approach always be tried first, and that statins only be used if the lifestyle approach fails – a message that seems to have gotten lost in the translation in many doctor’s offices. 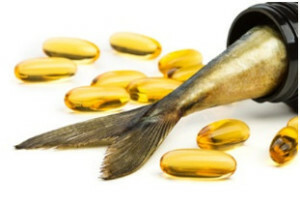 I have also discussed some natural alternatives in my previous articles such as “Does An Apple A Day Keep Statins Away?” (https://healthtipsfromtheprofessor.com/apple-day-keep-statins-away/) and “Is Fish Oil Really Snake Oil?” (https://healthtipsfromtheprofessor.com/fish-oil-really-snake-oil/). Perhaps it is time to have a serious discussion with your doctor about following the National, Heart Blood & Ling Institute’s TLC recommendations – either as an alternative to statins or as something that will allow your doctor to reduce the amount of statins that your need to take. I also recommend that you make lots of fresh fruits and vegetables and either oily fish or fish oil supplements part of your regular diet. The old professor is just like the rest of you. My cholesterol gets a bit high from time to time and my doctor suggests going on a statin. Instead I ramp up my exercise, watch what I eat a bit more carefully, and use a supplementation program that includes stanols, sterols and omega-3 fatty acids. My cholesterol gets back to where it is supposed to be. My doctor is happy, and I am happy. The news about statin drugs keeps getting worse. Not only are they only marginally effective in healthy people who have not yet had a heart attack, but the latest study suggests that they may increase the risk of developing diabetes by up to 46%. That is concerning because the complications of diabetes can be quite serious, and diabetes drugs have side effects of their own. There are alternatives. The National Heart, Blood & Lung Institute recommends that a Therapeutic Lifestyle Change (TLC) program (http://www.nhlbi.nih.gov/health/resources/heart/cholesterol-tlc) be tried before starting on statin drugs. This may allow you to reduce the dose or avoid statin drugs completely. In addition to the TLC program I recommend lots of fresh fruits and vegetables, oily fish or fish oil supplements, and a supplement that provides the TLC-recommended 2,000 mg of plant stanols and sterols. If you have been prescribed statin drugs, it may be time to make a serious commitment to the TLC lifestyle change and have a discussion with your physician about reducing or eliminating your statins. This is especially true if you are already pre-diabetic or diabetic.